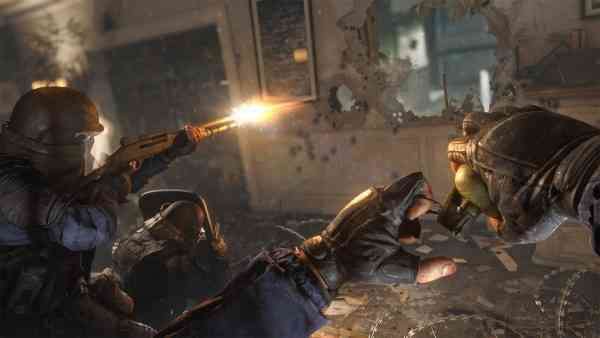 Earlier today, during a panel at the Six Invitational 2019, Ubisoft unveiled its first animated short for Rainbow Six Siege. The exciting animated short, similar to those seen in Overwatch, delved deeper into the game’s origins, whilst showing off a brand new character. Ubisoft has just revealed an incoming character to Rainbow Six Siege with an action-packed cinematic video that’s just over five minutes long. The animated short titled The Hammer and The Scalpel gives us a bit more insight behind some operators like Thatcher, new Six leader Harry and newcomer Dokkaebi. In fact, it’s set to investigate the relationship between the SAS and the 707th attackers. You can check out the video for yourself below. Previously, we’ve seen a variety of short video vignettes for each of the operators, illustrating their skill set and gadgets, but Ubisoft has also announced the Rainbow Six Universe which is a team dedicated to telling more stories about the game’s lore. At this time it’s unclear whether this just means a bunch of animated shorts will be arriving in the future or if this will expand into other forms of media. Since we’ve now seen the very first Rainbow Six Siege animated short, is it too early to want to find out what the next one has to offer? Maybe we’ll get to see another one very soon. What do you think about The Hammer and The Scalpel cinematic short? Let us know your thoughts in the comments below and don’t forget to keep it locked for updates!